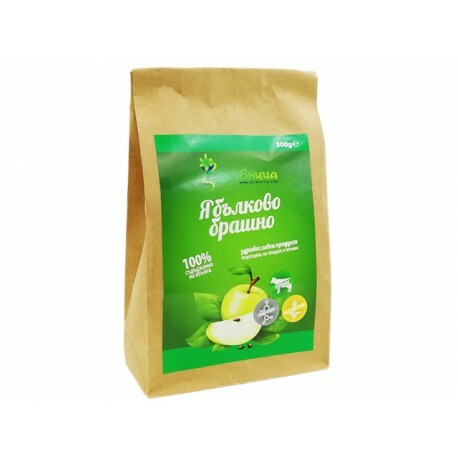 Natural apple flour - premium quality with fine and soft texture. Gluten Free. No added sugar. Apples are a fruit with a very low glycemic index. Apples are a fruit with a very low glycemic index. They contain about 12-15% carbohydrate - pectin, cellulose, glucose and fructose, malic and citric acid, and are rich in minerals, as well as valuable vitamins B1, B2, C, E, P and PP. To make the apple flour used ripe fruits that are dried in the sun and then ground to get a fine meal. It has a slightly sour taste and fruity aroma. Gives it its characteristic brown color of cooked recipes with him. Used in combination with other flours. Apple flour successfully used in the preparation of baked goods. You can add a small amount to impart attractive color (for example, instead of cocoa) or more to get the typical apple flavor cakes, fruit cakes, biscuits and even pancakes. 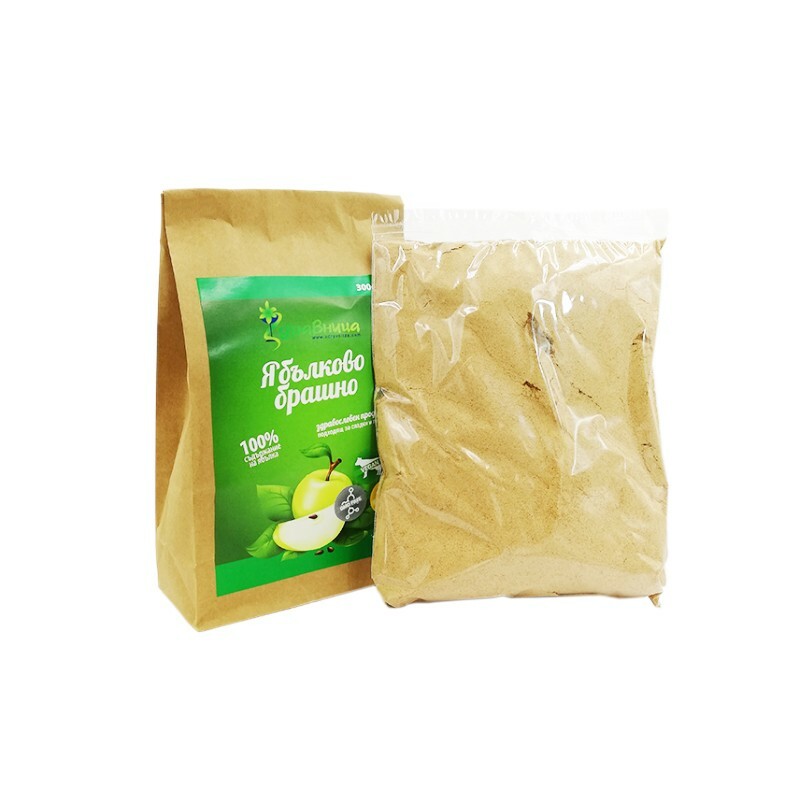 Since this is in fact dried fruit, ground to a fine powder, you can add it in the preparation of baby cereals and purees. for use in cooking. It has a slightly acidic taste and a low glycemic index. Moisture to 4% of the total quantity of flour for bread, to 20% for apple cake, to 12% for the biscuits. You can add to smoothies, cold desserts and more. 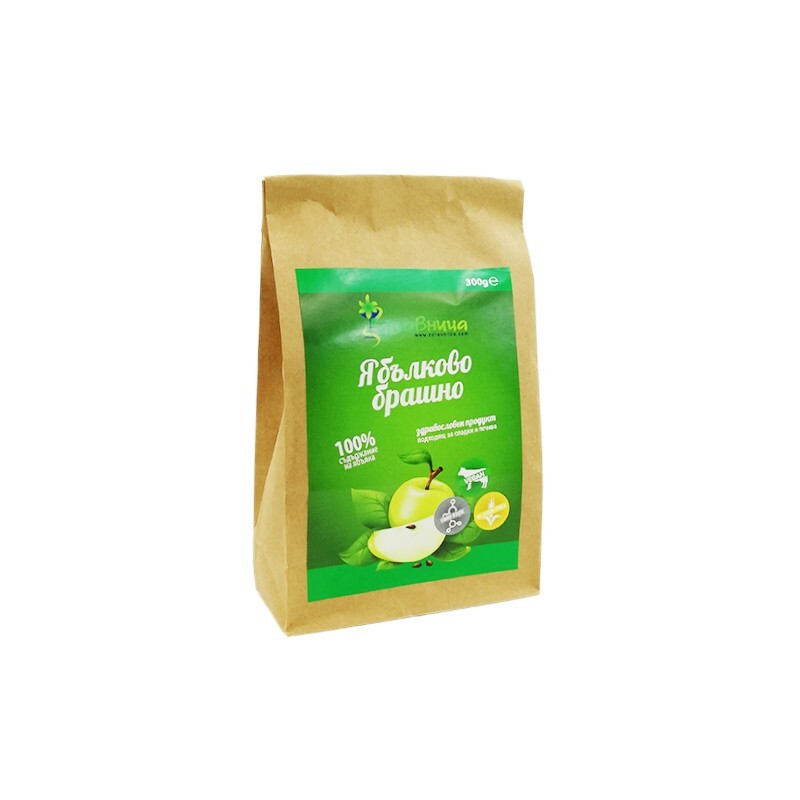 - 1 tsp 200 ml / g product.